Plan for Meye's Garden. Courtesy of the Charleston County Register of Mesne and Conveyance. Florian Charles Mey was a prominent merchant in the 18th century with an elaborate house and garden located between Pinckney Street and a small private street previously known as Hard Alley. 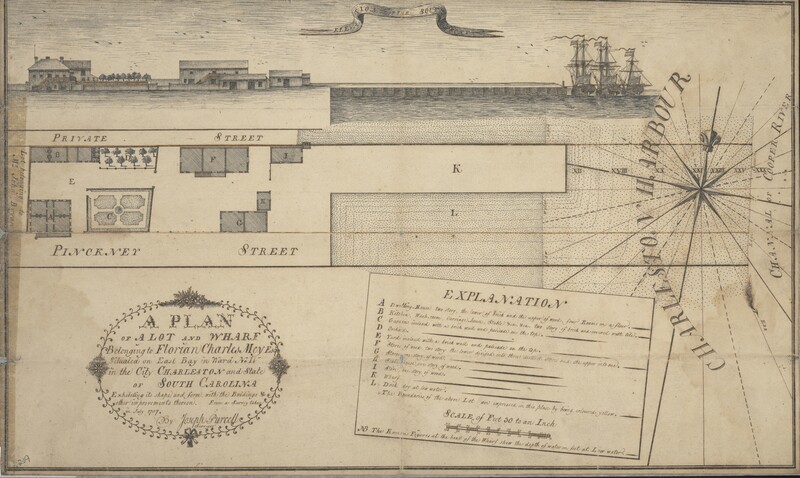 This plat, executed by Joseph Purcell in 1787, shows a garden and yard, each “inclosed with a brick wall and palisade on top.” An adjacent orchard served both ornamental and practical subsistence needs.